In your pocket and in your heart. 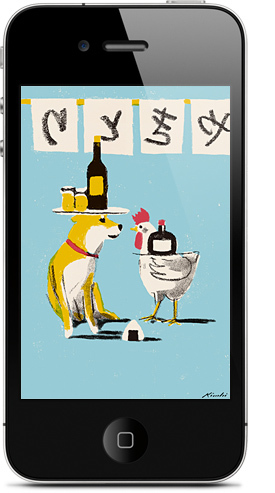 A selection of illustrationsadapted for the iPhoneand presented in a beautiful and engaging way. Carry them in your pocket, show them off, share with your friends and use as wallpapers. 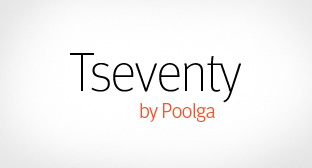 We recently introduced Poolga’s sister site: Tseventy, where we feature carefully hand picked photography for iPhone, iPad and other mobile devices from selected photographers from around the world. If you’re into photography and own an iOS device, you’ll love Tseventy. 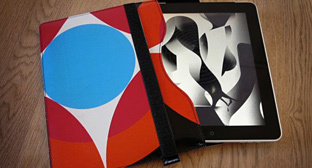 Wepartnered with Demano to create iPhone and iPad sleeves made out of recycled advertising banners (the kind that hang from lamp posts in many cities). The banners, pre-printed with colorful designs,arecut and sewn to create the sleeves, resulting in lovely random compositions. Follow us on Twitter and Facebook to get our regular updates. We upload new wallpapers every couple of days. This is a message from Poolga, the “iPhone and iPad wallpapers for the rest of us” site.